When it comes to watches and anything else I wear, I am incredibly fussy with the way things look. I have a specific taste, I like minimal detailing, little fuss, clean lines and generally just like to feel comfortable. 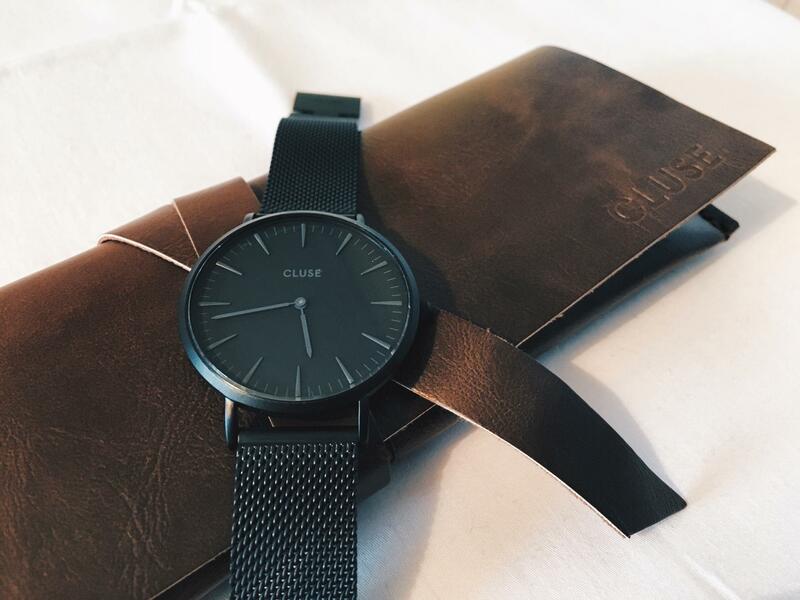 When I came across Cluse, I just knew that one of their watches needed to work their way into my life. I browsed their website every week or so awaiting for the Cluse La Boheme Mesh Full Black watch to get back in stock, until Wave in Kendal had a selection of Cluse watches in store. I took the opportunity to try on several different styles and colours and really loved the look of them all. However, the all black mesh strap stood out for me and after wearing it on my wrist I just knew this would be the perfect accessory for a sports luxe vibe. What appealed to me at first was the strap. I had always worn leather strap watches which had worn over time, leaving them looking tired and old. The mesh strap looks and feels hard wearing and so far has had no scratches even though I wear it often. The watch is incredibly light too so sometimes I’m not even aware I’m wearing it. This is an absolute bonus as I hate heavy jewellery. Earrings, rings, necklaces etc. they make me feel so restricted. 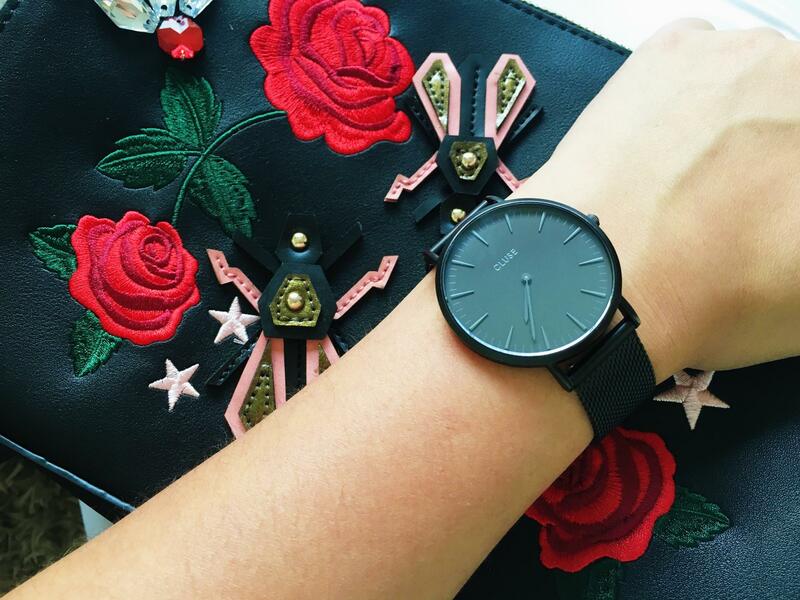 The beautiful pouch that your watch sits in is perfect as its small and compact, therefore it doesn’t take up much room if you’re taking your watch away with you.